Go to any Real Salt Lake game and you’ll see everything you need to know about how soccer reflects the changing face of America. Kids, many of them from minority populations, are everywhere at Rio Tinto. When the U.S. Men’s National Team played Honduras in Salt Lake City earlier this summer, the game sold out in a matter of days. A similar story is playing out across the rest of the country as soccer continues to rise, while sports like baseball, basketball and hockey stagnate or decline. It’s almost de rigeur for traditional American sports fans to take a xenophobic glee in bashing soccer, but the times they are a changin'! I predict that 10 years from now, real football (soccer) will supplant the NFL as the No. 1 sport in America. 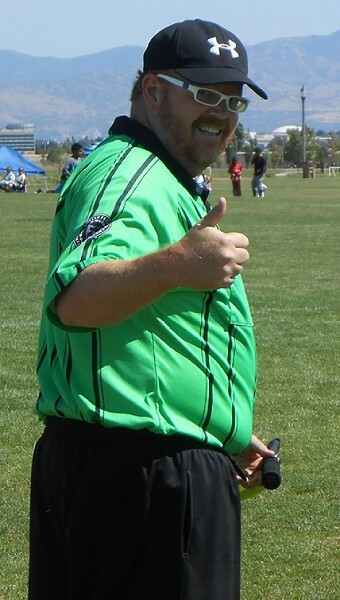 Some of you may know, but many don’t, that one of my hobbies is refereeing competitive youth and amateur adult soccer games. During the season, I often help officiate four to seven games per week. In an awkward and clunky attempt to merge two disparate worlds, I have prepared my fantasy list of Utah politicians whom I would want starting on the soccer pitch (often referred to as the “starting XI”). I’ve chosen them for how their political abilities and personalities would fit into the needs of a successful team. Attorney General John Swallow - So far has been able to deflect everything thrown his way. There’s a ton of shots coming at him, but nothing has snuck past. That may change, but he’s pitching a shutout so far. Rep. Jim Matheson - He’s used to being under constant attack and never loses his composure. He’s often under fire from the left and the right, and somehow manages to clear the ball out of the danger zone every single time. He would be a stellar middle defender. Sen. Orrin Hatch - He proved his adeptness at identifying a developing threat and diagnosing a solution. He can’t move as fast as he once did, but he’s good at playing the angles to cut down on any attacks. Gayle Ruzicka - A tireless defender of her world view, she would be a great asset on the back line. She rarely gives up on the play, and almost never admits defeat. A good soccer player has to have amnesia when they make a mistake to avoid getting caught in a downward spiral of bad play -- forget it and move on. Plus, she’s very good at identifying threats that aren’t fully realized (or even existent yet). House Speaker Becky Lockhart - She has to corral one of the largest Republican caucuses in history on Utah’s Capitol Hill -- no small feat. Being able to organize in the face of a full onslaught (in this case, a hectic 45-day Legislative session) is a quality most coaches would kill to count on in the defensive third. SLCO Mayor Ben McAdams - Able to control the middle of the pitch by getting both Republicans and Democrats to vote for him. He got more votes in Salt Lake County than Barack Obama in 2012, something that’s rare for a Democrat to do. Plus, his mild-mannered looks make opponents underestimate him -- something they do at their own peril. Justin Miller - He put together a formidable ground game for McAdams. Plus, he helped McAdams secure a win at the Salt Lake County Democratic convention to avoid a potentially costly primary against Ross Romero. That proved to be invaluable, as McAdams had a formidable war chest at his disposal to use against his eventual Republican opponent. Easily makes the transition from defense to attack. Sen. Todd Weiler - A workhorse in the legislature. He carried more legislation than any other lawmaker in 2013, which was remarkable. More than one colleague has remarked to me that Weiler “doesn’t like to lose,” which makes him a valuable ally -- and a formidable opponent. Sen. Mike Lee - Plays offense with reckless abandon. He is always looking to go on the attack, no matter the issue or consequences. Shut down the government to stop Obamacare? Why not? He has the kind of creativity you’re looking for as a playmaker. Chad Bennion - A recent pickup for my squad. Bennion, like Lee, really doesn’t care about the consequences while on the attack. He’s looking to push the envelope. Witness his attack on District Attorney Sim Gill. Then, look at his not-at-all-insane conspiracy theory that the media wants to make Gill the new Attorney General (replacing John Swallow). It’s that kind of mindset that would be hard to match up against, and why he would be a top pick for my squad. Rep. Jason Chaffetz - Chaffetz will press any advantage he has, no matter how small it is. He’s also relentless -- witness his continuing crusade to get to the bottom of the Benghazi story -- even long after the media has moved on. He’s innovative, as well, being among the first to figure out how to adapt new technology for political purposes. Dave Hansen - He’s a master tactician and just plain brilliant; he just doesn’t lose. There’s a reason Mia Love hired him to run her 2014 campaign. That’s the same reason I’d want him managing my squad.